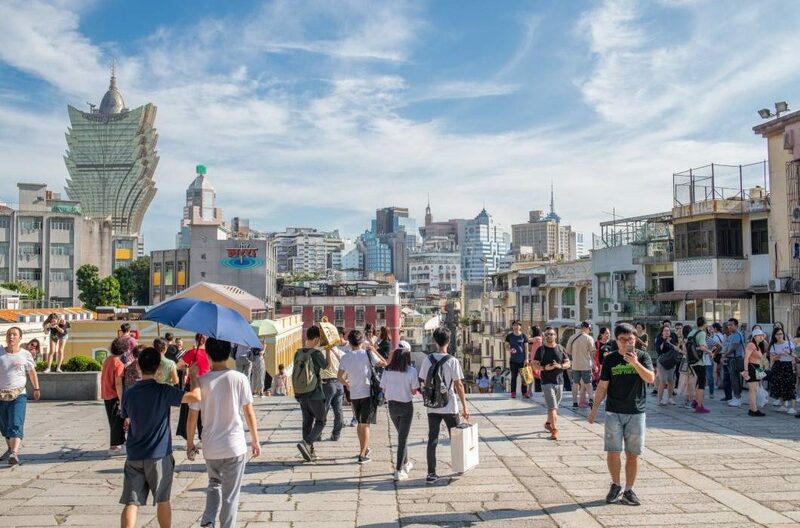 Macau has registered more than 35.8 million arrivals in 2018, an increase of 9.8% compared to 2017, accounting for a rise in hotel occupancy and visitor spending, officials said last week. The Hong Kong-Zhuhai-Macau Bridge, the world’s largest sea crossing that opened on October 24, was responsible for the arrival of more than one million tourists and has already become the “second largest border visitor entry point”, according to the Directorate of Tourism Services. The overwhelming majority of Macau visitors are from the Chinese mainland (25 million), an increase of 13.8%. However, the numbers of inbound tourism point to a decline of 1.1% in terms of international tourists (3.1 million). According to preliminary data, the number of visitors staying in the territory of Macau in 2018 was more than 18.4 million. This corresponds to an increase of 7.2% and represents more than half of the tourists. The same figures indicate that in 2018, the 120 hotel establishments, which offer 40,109 rooms, welcomed 14 million people. Between January and September 2018, authorities reported that the total expenditure of visitors amounted to $29.8 billion. This corresponds to an increase of 11.9% compared to 2017. During the announcement of the data, key points to be promoted in 2019 were also announced by the authorities of the autonomous region. The goal is to deepen Macau as a creative city of gastronomy of UNESCO and the participation in the Chinese project to create a world metropolis that joins the territory to Hong Kong and to nine cities of the Chinese province of Guagdong, with more than 60 million inhabitants. In the case of gastronomy, the goal is to “reinforce the heritage of typical Macanese food”. This could be done through, for example, the creation of a database, as well as support for the development of the catering industry. The other two priorities of the authorities include the development of smart tourism, the completion of the Grand Prix Thematic Museum and the holding of commemorative events. These include the 20th anniversary of the Macao Special Administrative Region and ‘large-scale activities in Portugal, in conjunction with the Year of China in Portugal’. The Government of Macau also aims to make its territory more competitive by attracting more conventions, congresses and exhibitions. The Secretary for Economy and Finance of Macao, Lionel Leong, declared that the region held a total of 28 meetings with an attendance of more than 1,000 people in 2018. This represents an increase of 50% compared to 2017 but more is expected and desired towards the future.